Iceland has to be one of my favorite places in the world and every time I go back it’s like I’m there for the first time all over again. 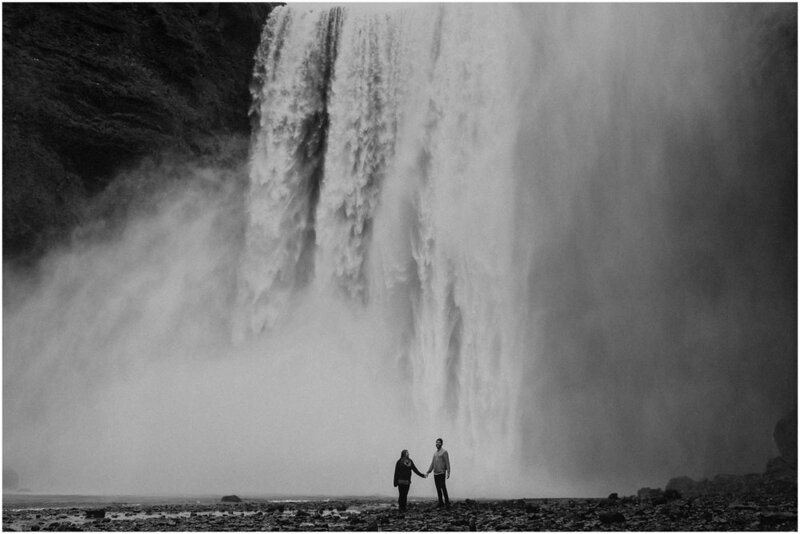 Shannon and Joe had never been here and decided it was the best place to celebrate their 2 year wedding anniversary adventuring around the majestic Skogafoss waterfall and soaking up every bit of adventure Iceland has to offer. We met up at one of my favorite waterfalls, Skogafoss, and explored around the endless lupine fields that overtake Iceland every spring. You can even see a purple glow on the whole island as you fly in, there’s that many lupines. And of course I asked the if they wanted to get soaked in the biggest waterfall of all time so that was a given. It’s so exhilarating to walk right into the biggest waterfall you’ve ever seen, it will literally take your breath away. My camera stopped working at the end because it got so wet - most photographers would consider that to be a little scary, but I crave this kind of action. The closer you get to this waterfall, the harder it is to breathe because there is so much wind and water in the air. It’s a pretty thrilling experience. One that is amazing to have whether you are taking photos or not. I love capturing moments like this - moments that are so amazing when they are happening and I am just there to document a memory. This was such an amazing experience. 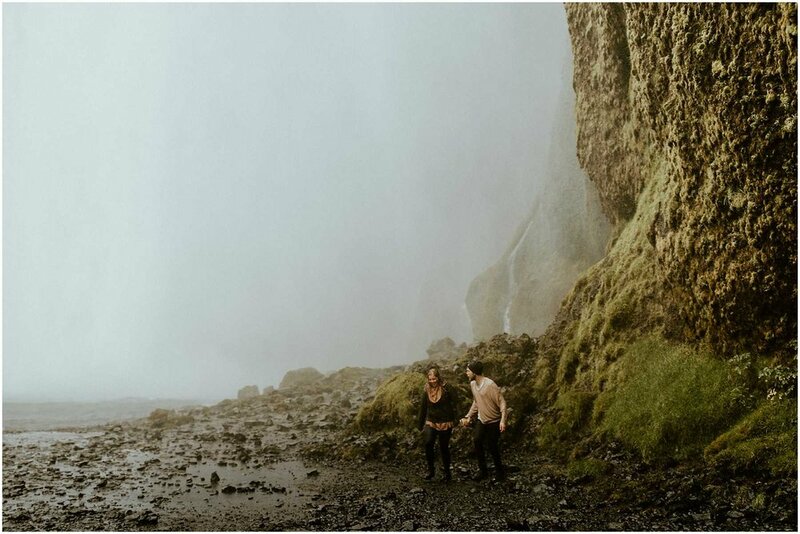 PS these guys are amazing wedding photographers too, check out their work here ! At the end of the day, we ended up camping right at the base of the falls. There is a campsite that is open in the evenings and we chose a spot that was closest to the falls so we could just open our tent door and see it. Still a little jet lagged, we woke up at about 4am and since it was the middle of the summer, it doesn’t really get dark and the sun was already up. We had the entire place to ourselves. We hiked to the top, hung out with the sheep, made breakfast and coffee on one of the picnic tables, and walked around the whole base of the falls by ourselves! It was amazing! Probably one of my favorite moments I’ve ever had at this place. I’m always eager to get back to Iceland. If you haven’t noticed, I love taking photos at waterfalls. Here are a few more of my favorite shoots I’ve ever done.